There's nothing quite like a summer jaunt to the Hamptons. And if you have a boat at your disposal, you get the best of both worlds – the activity of beach towns coupled with the serenity of a quiet harbor away from land-locked crowds. Be sure to make your mooring or slip reservations well in advance to ensure that you'll be able to relax and enjoy all that this pristine location. As you plan your cruise to one of New England's sweetest spots, keep in mind some of these summer sights and activities. Located at the south of Gardiners Bay where it meets the Peconic River, Cedar Point offers picnic areas, boat rentals, nature trails, licensed hunting for waterfowl (in season), and surf-casting for bass and bluefish. Whether you want to stretch your legs on a beautiful hiking trail, camp overnight by a campfire, or try to spot a wild deer, wild turkey or quail, the 600 acres of Cedar Point County Park has you covered. Gardiners Bay is situated between two peninsulas on the eastern end of Long Island, making it both well protected and an ideal environment for marine life, as it's fed by Three Mile Harbor, Acabonack Creek, and Napeague. Other native fish include fluke, yellowtail, flounder, porgy, blackfish, weakfish, sea robbin, and sea skate. The Orient Beach State Park's natural beauty earned it designations as both a National Natural Landmark as well as an Audubon Important Bird Area. Within its 45,000 feet of frontage on Gardiners Bay, visitors will find a maritime forest with red cedar, black-jack oak trees and prickly-pear cactus, Great Blue Herons, Egrets, Black Crowned Night Herons, and Osprey. Swimming, fishing, windsurfing, and picnicking in the pavilions are all fair game. The North Fork of Long Island is also dotted with (excellent) wineries. Check out Bedell Cellers, which feature some of the oldest and most mature vines on the Island. For lots of great information about the Long Island wine trail, check out liwines.com. 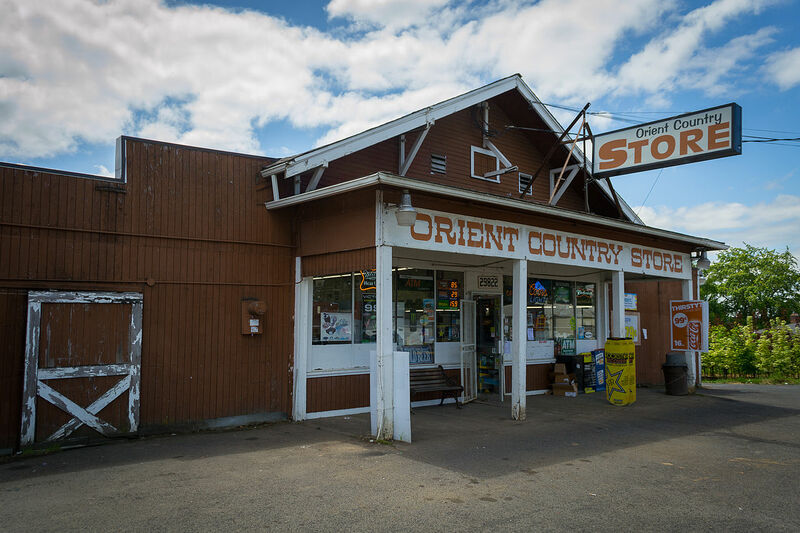 On the western end of Orient you'll find the Orient Country Store, a gem among the island's quaint homes, known for it's strawberry shortcake and beer provisions. From the east end of Orient, or from the water of Gardiners Bay and Long Island Sound, you'll see the Orient Point Lighthouse in Plum Gut, the gap between Orient Point and Plum Island. Originally erected as a day marker in 1855, the light as you see it today was upgraded in 1899. At ebb tide the current exceeds 5 knots, creating dangerous riptides and white-caps. For the closest Dockwa location, check out Townsend Manor Inn & Marina in nearby Stirling Basin. Another small trek but well worth it, the former home of artist Jackson Pollock and his wife Lee Krasner is located in Springs, NY. Donated to the Stony Brook Foundation after the couple passed away, conservators examined the property and found, under Masonite squares, the original barn floor, covered in stray paint. The Pollock-Krasner House and Study Center is open Thursday through Saturday from May to October, and a 30 minute walk from Three Mile Harbor Moorings and East Hampton Point Marina. Situated between the North and South Forks of Long Island, nearly one-third of Shelter Island is protected conservation land maintained by the Nature Conservancy. For those in the mood to spice it up and sample some local fare, the Shelter Island Craft Brewery on Ferry Road, open every day from Noon until dark. While on island, visit the Shelter Island Historical Society Monday through Saturday, 10am - 2pm – we recommend checking out the car show on June 25! Book dock space on Shelter Island at Coecles Harbor Marina, on the East side tucked in Coecles Harbor west of Little Ram Island, or on the south side of Shelter Island at The Island Boatyard & Marina. where you'll be well-protected by West Neck Harbor. A favorite local fishing spot because of the currents, Maidstone Park sits on the eastern side of the mouth of Three Mile Harbor. In the summer there is a bathing beach with life guards, which triathletes have used for training swims. Maidstone Park is also a great spot for bird watching and picnics, and on 4th of July weekend crowds gather to watch fireworks. If you have Maidstone Beach on your Hampton's itinerary, you have several nearby Dockwa marinas to choose from. While we don't recommend attempting to go to Plum Island, learning about it as we scoped out the area certainly added an air of mystery to Gardiners Bay. Used as a battery for the Army before the First World War and into the Second World War, the island apparently now serves as a post-WWII Army biological weapons lab. Still today the island seems to have an air of secrecy and a reputation for tight security as scientists on staff come and go by special government ferries, guarded by armed officers. Get out the binoculars and try not to get arrested. Have you cruised in Gardiners Bay? What would you recommend? Let us know: email becky@dockwa.com or comment on Facebook.